Operating Humidity Range 0 to 100% r.H. 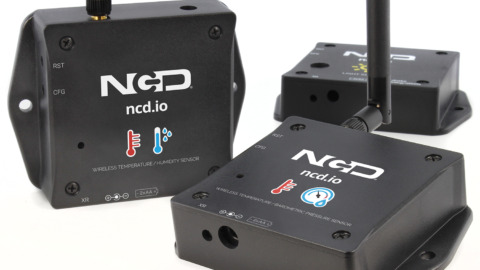 Introducing NCD’s Wireless Environment Sensor, boasting up to a 28 Mile range using a 900MHz wireless mesh networking architecture or 1 Mile using 2.4GHz wireless mesh networking architecture. Incorporating a BOSCH BME680 sensor, it samples and processes temperature, pressure, humidity and gas resistance and transmits this information to user defined receiver(s). The whole process is repeated at user defined intervals. 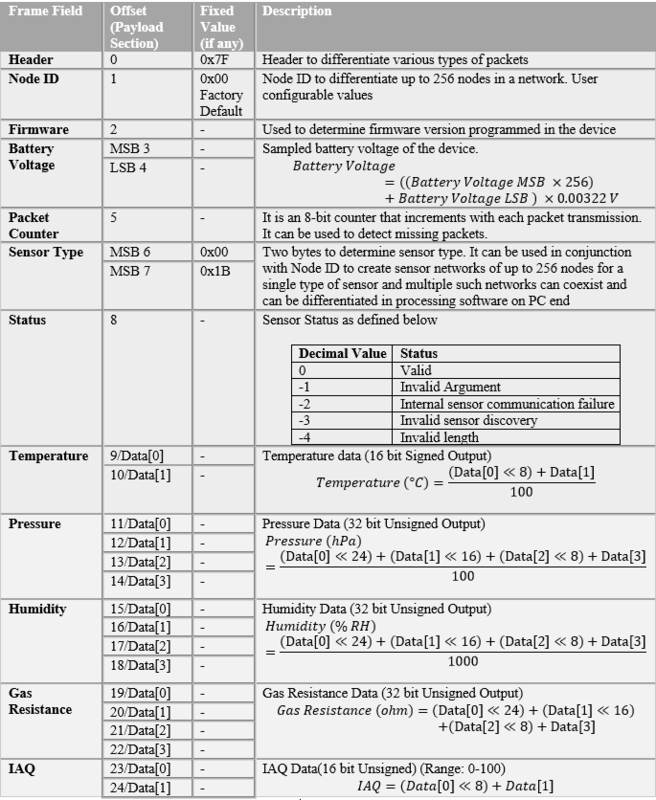 For technical details, please refer to the BME680 datasheet. 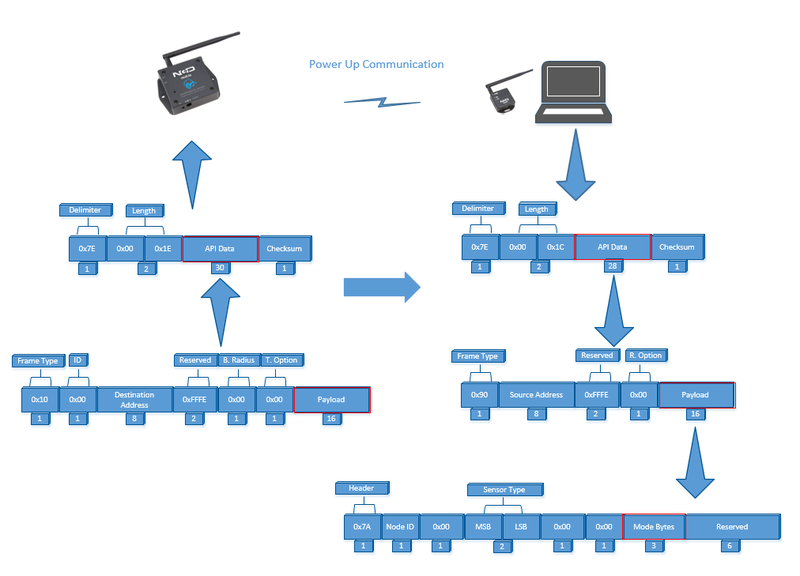 Powered by just 2 AA batteries and an operational lifetime of 300,000 wireless transmissions, a 3 years battery life can be expected depending on environmental conditions and the data transmission interval. Optionally, this sensor may be externally powered. With an open communication protocol this sensor can be integrated with just about any control system or gateway. 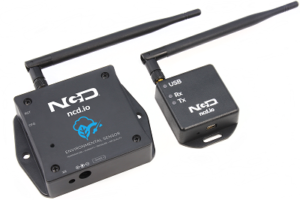 Data can be transmitted to a PC, a Raspberry Pi, to Microsoft Azure® IoT, or Arduino. 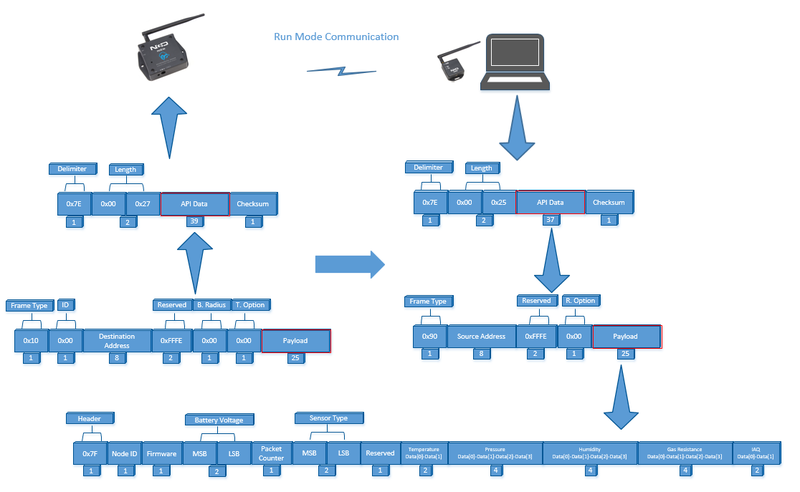 Sensor parameters and wireless transmission settings can be changed on the go using the open communication protocol providing maximum configuration depending on the intended application. 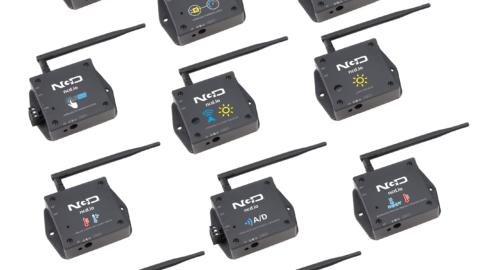 The range, price, accuracy, battery life and security features of Wireless Environmental Sensor makes it an affordable choice which exceeds the requirements for most of the Industrial as well as consumer market applications. 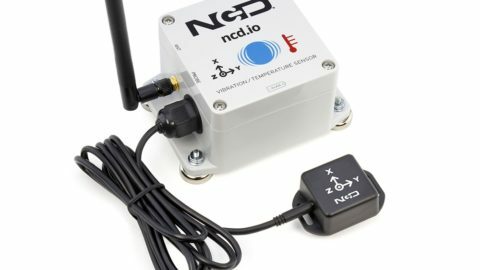 The Wireless Environment Sensor features inbuilt algorithm for processing measured gas resistance, humidity and temperature and generating Indoor Air Quality(IAQ) metric. 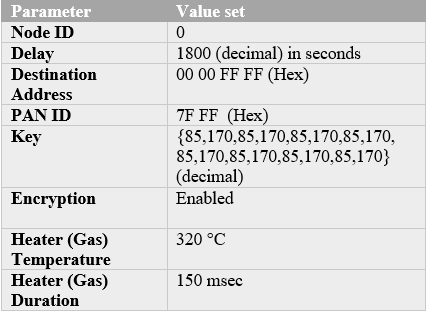 There is no standard procedure to convert gas resistance to IAQ, hence NCD uses algorithm developed in-house to generate IAQ metric that ranges between 0 to 100. The Indoor air quality can be classified with respect to the IAQ using the following illustration. As discussed above, the sensor sleeps for most of the time to conserve battery and only wakes up at user defined intervals. The gas resistance output from the sensor varies if the delay between the readings (sleep time) is varied. Hence, it is impossible in this scenario to calculate a standard IAQ value that ranges between 0 and 100. In order to provide consistent IAQ output, the minimum sleep delay that can be set for the Wireless Environment Sensor is 24 seconds.The sensor accepts any delay value from the user in configuration mode but rounds it to nearest 24 second multiple. Furthermore, the sensor requires 30 minutes for warming up. 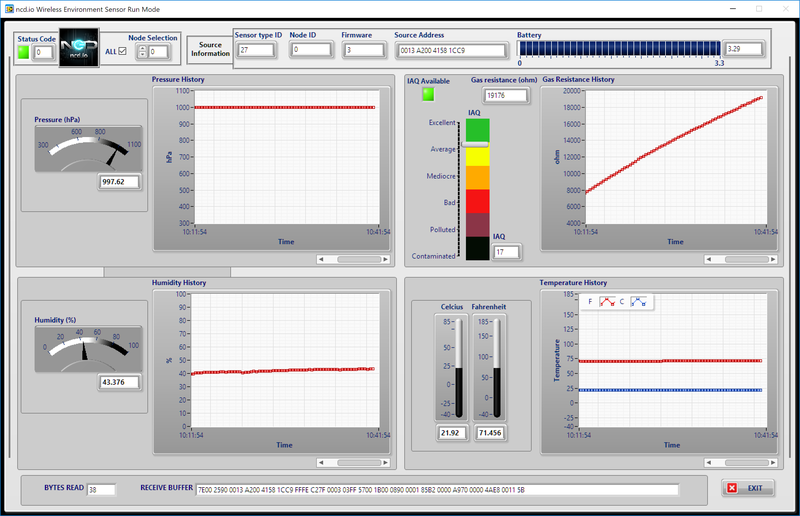 During this period the IAQ output remains 0. Depending upon the sleep delay set by the user, there can be one or multiple frames sent from the sensor that may contain a 0 IAQ Value. The IAQ Value returned is a relative IAQ with respect to the average reading at the end of the warm up period. The air quality during the warmup period is taken as a reference and further IAQ readings will show quality relative to that air quality. 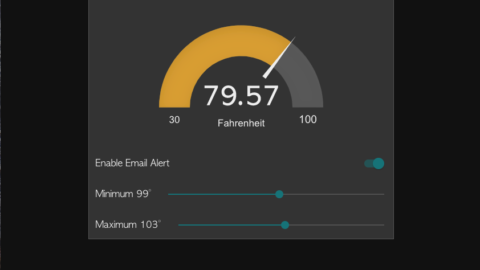 After the warm up period, the current air quality is taken as baseline and the IAQ is considered to be at the middle of the average air quality range. An improvement or degradation from this quality of air is then reflected as change in IAQ reading. The Vibration Sensor and Zigmo/Router come pre-programmed and work out of the box. 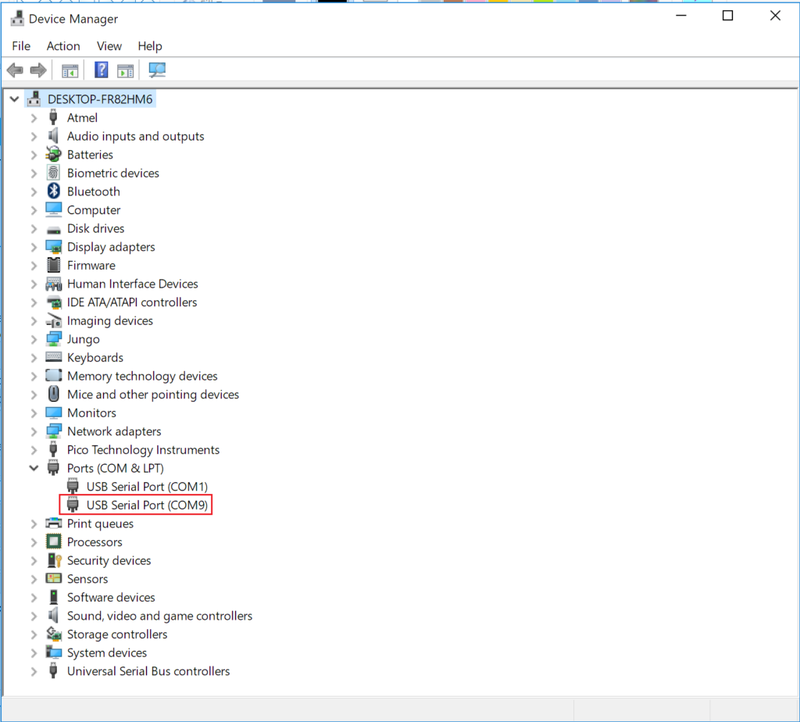 In this section we will setup a sensor and Zigmo link and start receiving data on our PC. 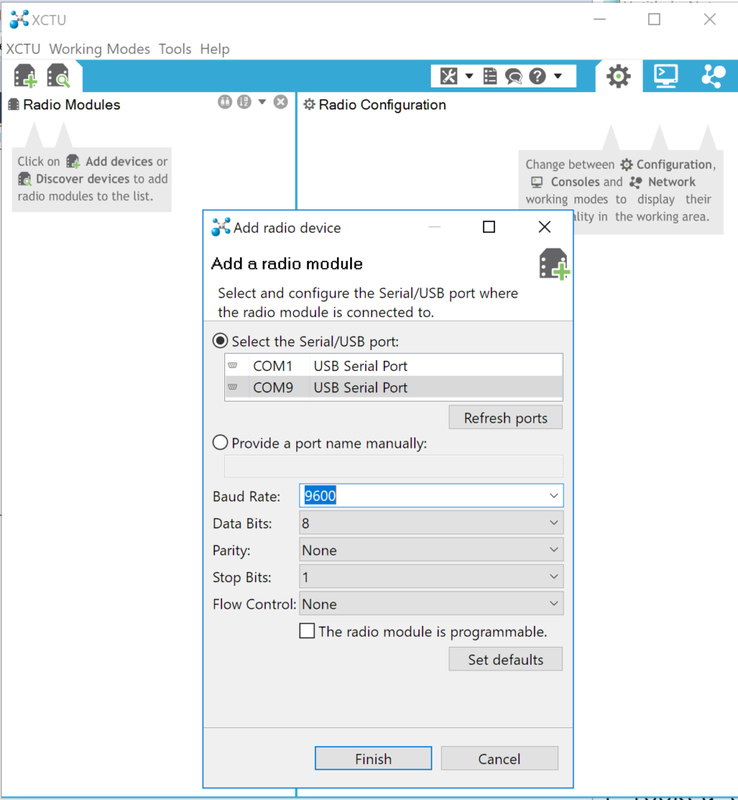 Though this guide shows how to visualize data on LabVIEW utility, you can also use a simple serial terminal to see raw data by following these steps. Note: The Wireless Sensor comes with external power enabled, for battery conservation during shipping. To enable battery power, open the enclosure and set the PS (power select) jumper which is parallel to the marking line on the board. 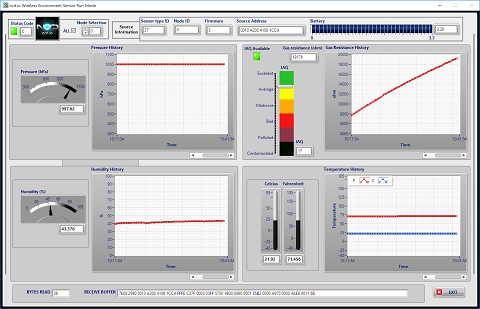 Press the Run button to visualize incoming data. 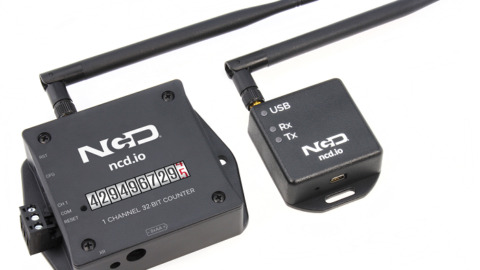 Standard data transmission mode is the default mode of operation of this sensor. In this mode the sensor sends periodic packets to destination receiver. During the time it is not sending packets, it sleeps and conserves power. Sensor end X-bee operates in API mode and sends packets to the saved destination address on the network specified by the saved PAN ID. 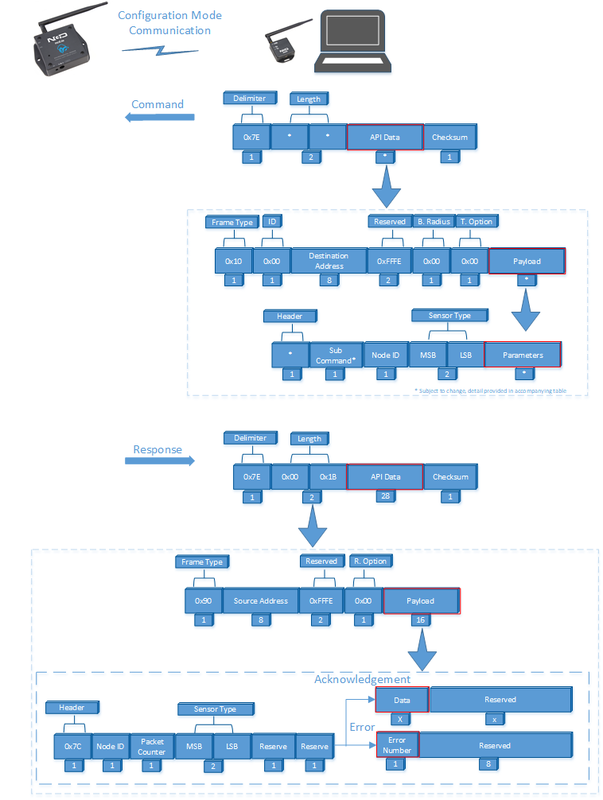 Figure 12 illustrates an API packet transmission and reception. Typical response from the device in Standard data transmission mode is shown in Figure 13 and Figure 14. The utility shown in Figure 14 can be downloaded from the website. 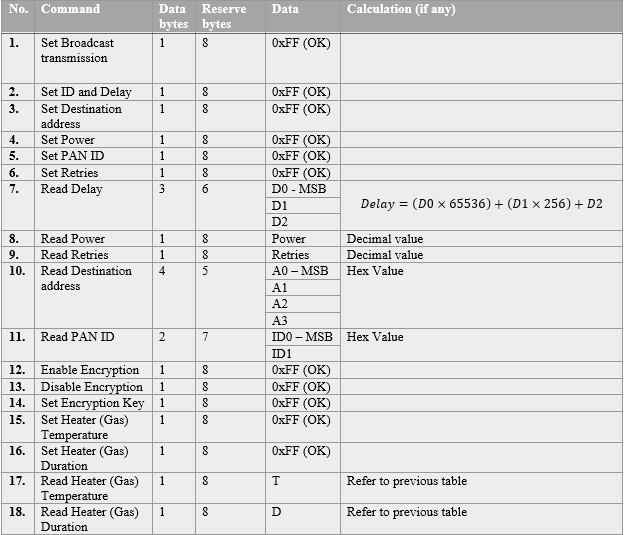 A standard configuration packet and its fields are explained in Figure 15. Its possible responses are also shown. The commands supported by this sensor are shown in Table 5, these can be used in the Parameters field of Payload section. 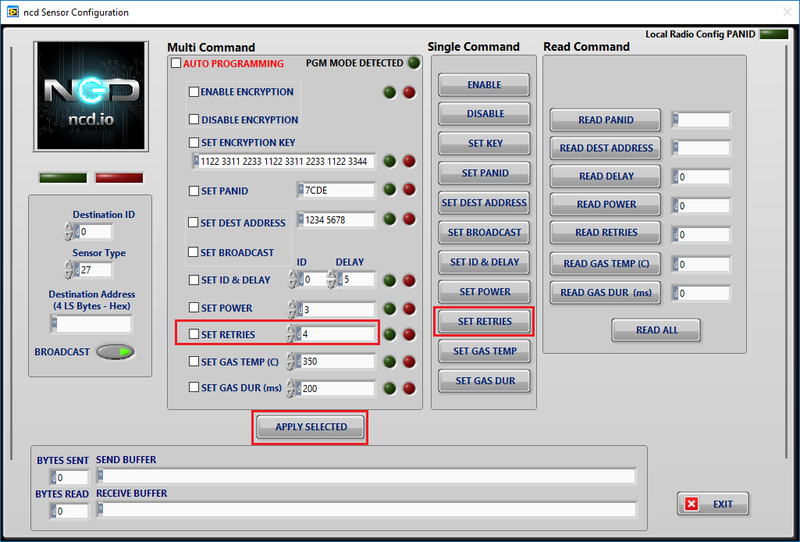 The sensor responds to these commands with an acknowledgement if the process completed successfully or with an error if it failed to setup a parameter. The respective Data and Reserve section length and values are shown in Table 6 for the case of acknowledgement. In the case of error, the reserved section will be fixed and not used, while the Error number byte will determine the type of error returned. These errors are mentioned in Table 7. 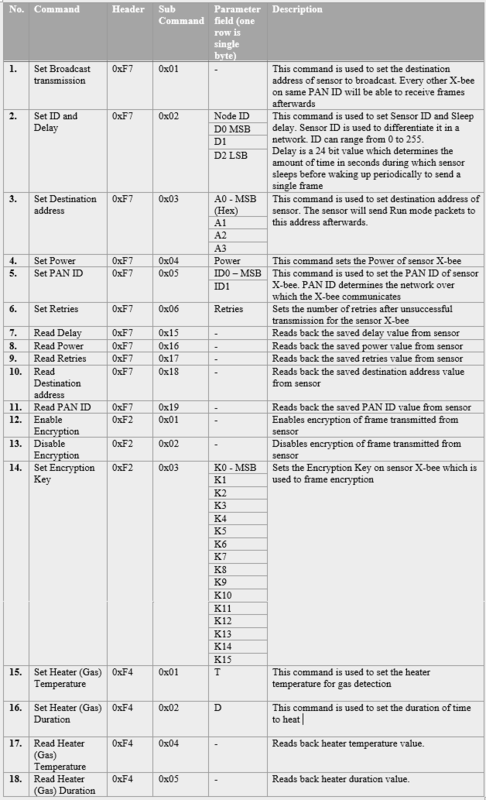 Examples for setting parameters in configuration mode are shown in Appendix A. Note that incorrectly setting some of the critical settings such as setting PANID and Destination address can disable further communication between a Zigmo and the sensor. Hence, these settings are saved in the sensor but they take affect after a reset so that the communication is not lost. 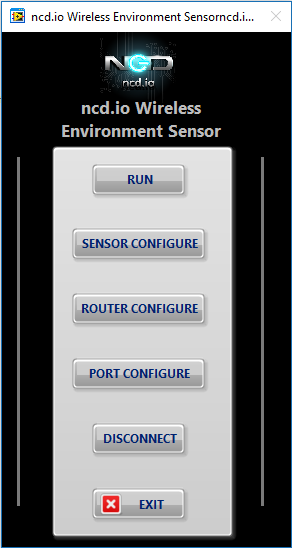 The UI, shown in Figure 16, can be used to configure the wireless sensor. At startup, it automatically changes the Zigmo PANID so that it can communicate with a sensor in configuration mode (indicated by the Led on the top right). Upon exit, the PANID of the Zigmo is restored to old value. Individual settings can be programmed using the single command column. The AUTO PROGRAMMING check option allows the user to setup multiple sensors with the same settings. 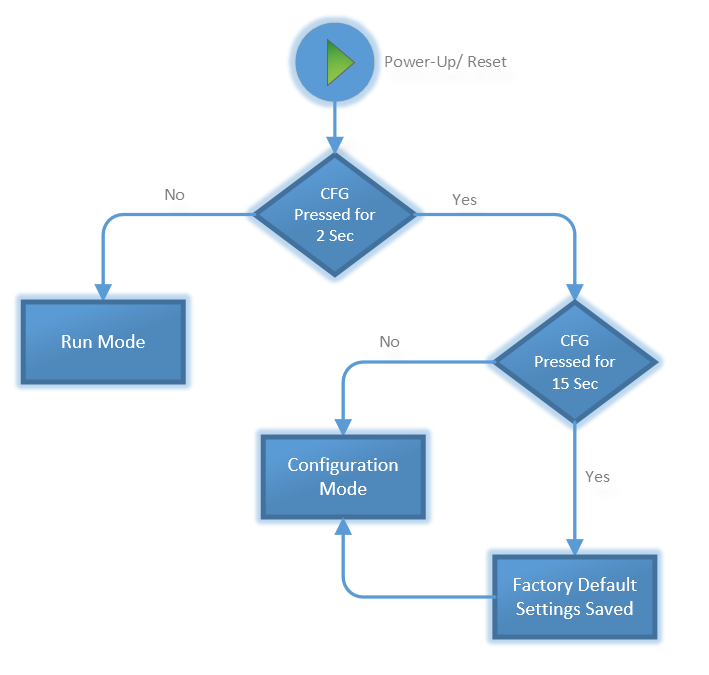 In such a scenario, the user will be required to enable each check box for enabling a setting, enter the value for each setting if required and then check the auto programming check box. Afterwards, when a sensor is powered up and enters configuration mode, the PGM MODE DETECTED Led will flash and automatically program the checked settings. User can also program multiple settings by clicking the APPLY SELECTED button. Moreover, settings can be read using the individual buttons or all settings can be read using the READ ALL button. In order to successfully communicate over the API protocol, checksum is of vital importance. 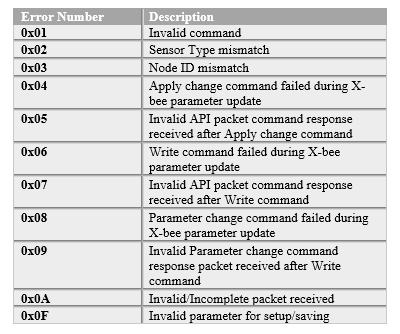 The X-bee at either end will reject packets if the checksum is not matched. 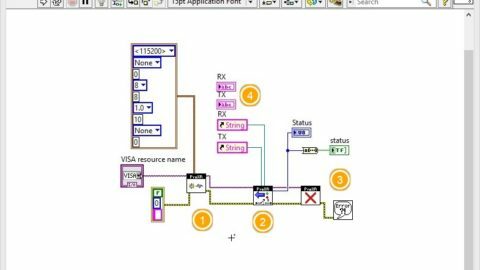 Checksum is also checked by the sensor controller and LabVIEW utility for added security. If the result is 0xFF, the checksum is correct and the packet can be processed. 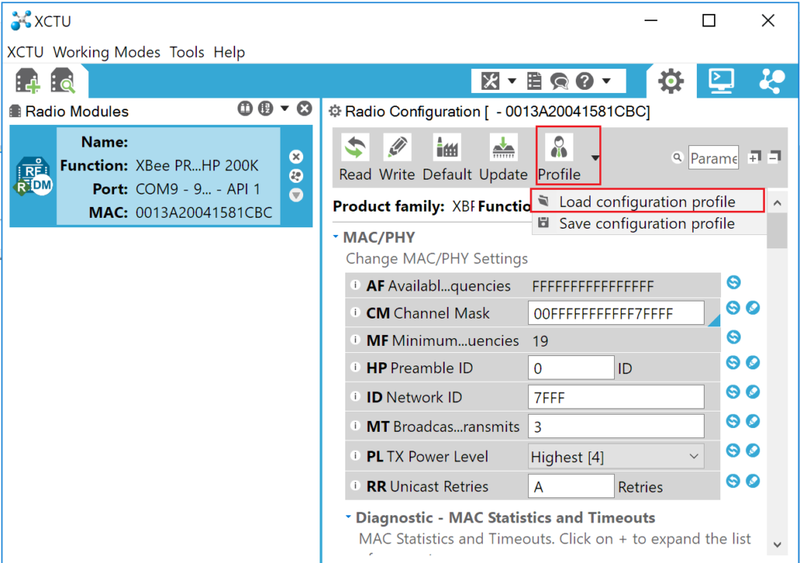 Consider the example of the command Set Broadcast shown in Figure 19 in A APPENDIX and see that the received packet checksum verifies since the result is 0xFF.